Eva missed out on a first birthday smash only by a month or so. 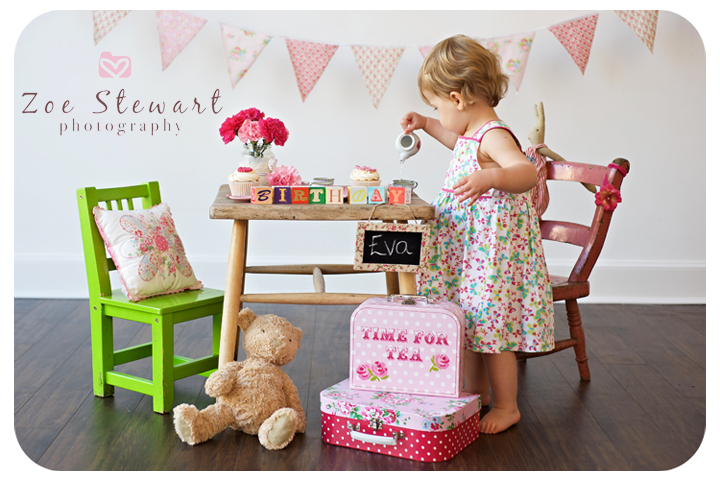 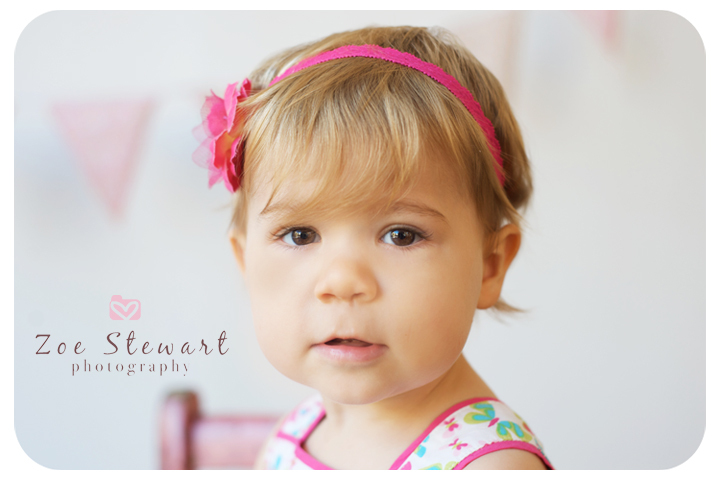 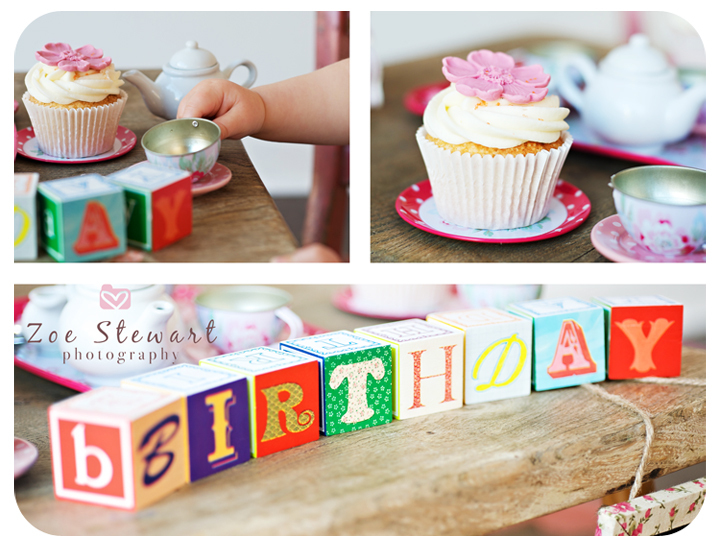 So, what better way to celebrate a belated birthday than with a Tea Party? 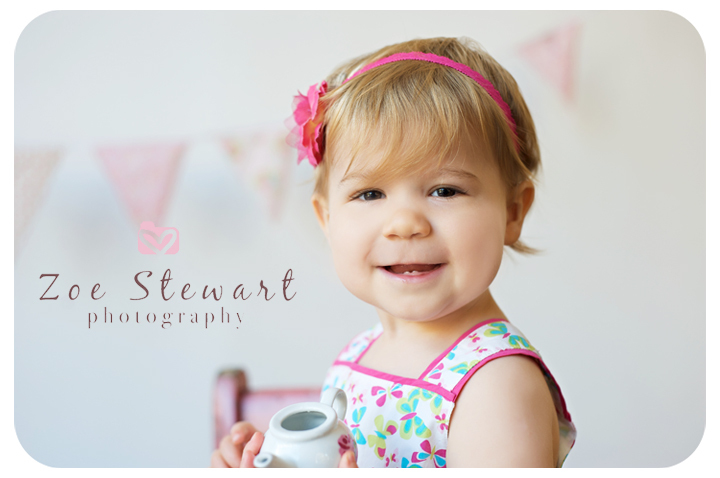 It took a wee while for Eva to warm up to the camera, but soon enough she was making everyone cups of 'tea' & showing us her best smiles. 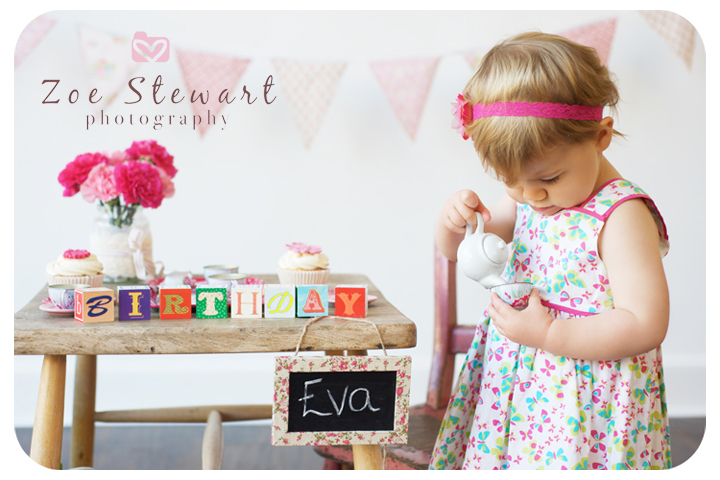 She wasn't a fan of the gorgeous little cupcakes we had for her but she had a lovely time!